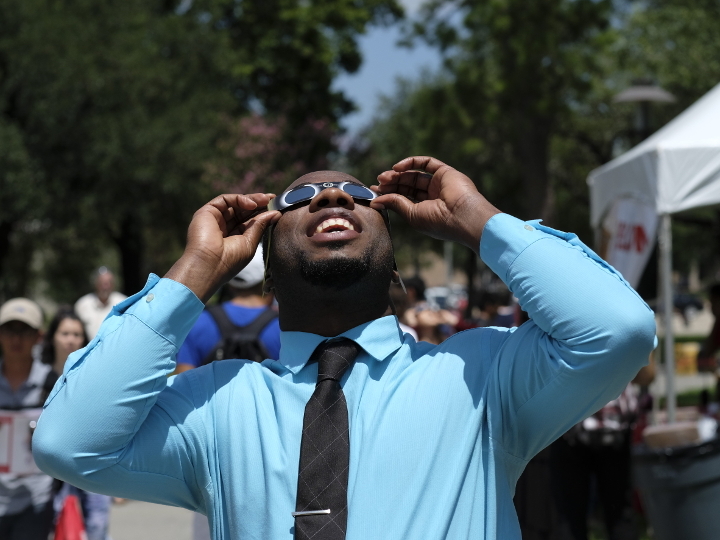 Students took time out from the first day of class to check out the partial eclipse. Traffic jams, long lines and a mad dash for maps showing where various campus buildings are located – Monday was the first day of classes at the University of Houston. Richard Walker, vice president for student affairs and enrollment services at UH, said this year’s freshman class is about 500 students larger than that from fall 2016. “Having a strong freshman class adds to the excitement and vibrancy of student engagement on campus,” he said. The University won’t report official enrollment numbers until the 12th day of classes, but preliminary enrollment suggests a record number of students will be taking classes this fall. More than 44,000 students are expected, up from the official count of 43,774 in fall 2016. The figures include about 5,000 freshmen and more than 5,000 transfer students. There are also 145 new full-time faculty members. The 2017 UH Weeks of Welcome, a two-week project by student leaders, faculty and staff to greet students with water bottles, maps, advice and special events, is in high gear. The Cat’s Back, the official UH welcome event, will be 4 p.m.-7 p.m. Thursday in the Campus Recreation and Wellness Center. It will include a fair to showcase student organizations, free food, games and giveaways. New this year is MyUH, MyHouston, set for 4 p.m. Aug. 31. UH is working with Houston First to host an interactive, multimedia event to help students learn more about what the city of Houston has to offer. See the Weeks of Welcome website for more information. And nature cooperated to make the first day of classes extra special, as the student-run Astronomy Society of UH and the College of Natural Sciences & Mathematics’ Department of Physics hosted students and visitors at the UH Observatory to view the solar eclipse. 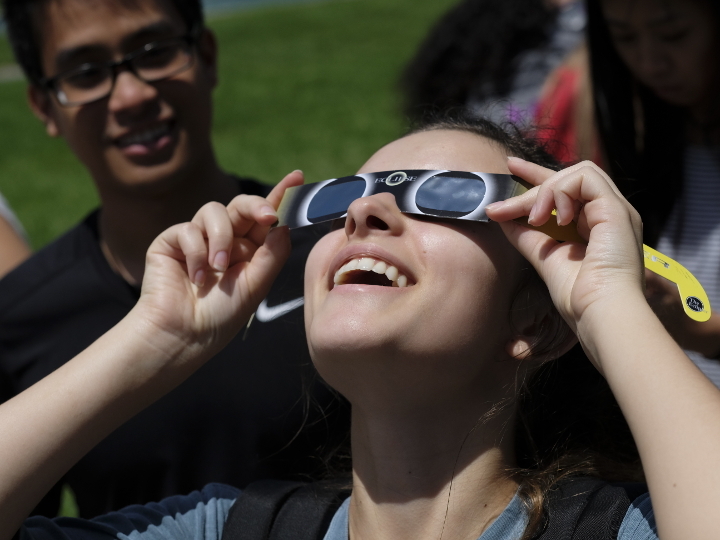 Houston was in the path of a partial eclipse, with about two-thirds of the sun’s surface covered, and students and faculty set up telescopes with special filters, along with a safety goggle station and pinhole projection assemblies to safely view the sun.